I meant to put this team up when we were 19 games (i.e. exactly halfway through the season) into the Prem campaign. Still, better slightly late than neverâ€¦ here, for you to peruse/violently disagree with, is Pies’ Premier League team of the season, at the halfway stage (it will be interesting to see how much this changes come the end of the season). It’s in a standard 4-4-2 formation. There is no standout goalkeeper, in my opinion. Edwin van der Sar and Jose Reina have given up few goals, as usual. Rob Green has had a decent season too. 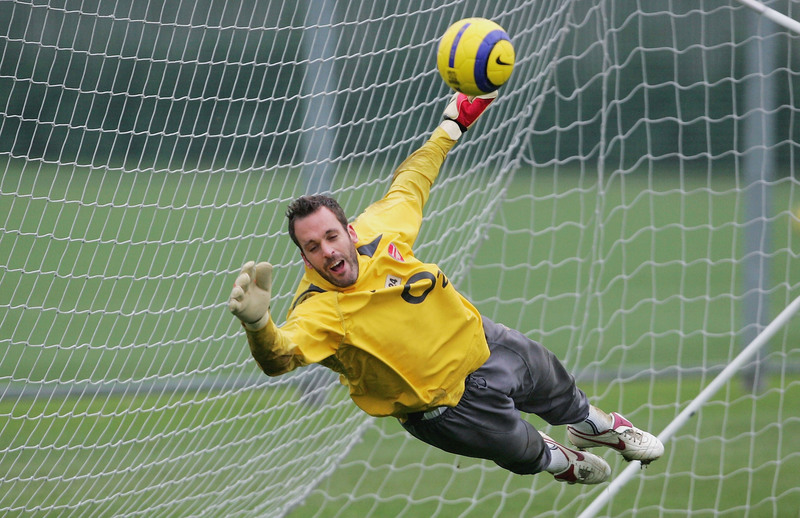 But Almunia gets the nod simply because he’s done very little wrong, despite knowing that one dodgy performance could spell the end of his Arsenal career. Jens Lehmann has not been missed. Ashley Cole could have stayed in north London, but perhaps he left because he saw how much better than him Clichy was going to become. The young Frenchman has been sensational for the Gunners this season. Arsene Wenger said of him recently: ‘Today we can notice he has no more gaps in his play. He is awesome in the quality of his passes, in his long passes, in his technical levelâ€¦ He can get out of any situation.’ Clichy, now 22, is good enough to be Arsenal’s left-back for the next 8-10 years. Not a great number of candidates for this position. Sagna gets my vote because he’s adapted faster to the Premier League than almost any footballer I can remember. Yet another astute signing by Monsieur Wenger. Unlike some defenders blessed with skill and good recovery pace, Sagna is foremost a defender, and therefore not afraid to blast the ball into the stands to give his team some valuable time to regroup. Terrible hair though. I’ve written several times already on Pies this season about Master Fabregas and how damn good he is. His form has dipped a little in the last month, but he walks into this team nonetheless. It’s hard to believe that he’s still only 20. I don’t think I’ve seen a footballer who is so mature at that age, not in the modern era anyway. His range of passing and general vision is unsurpassed in the Premier League. He scores goals now too. Flamini is the artisan to Fabregas’s artist, and that’s why they work so well together. The 23-year-old Frenchman’s workrate, reading of the game and all-round play have all improved dramatically, so much so that he is keeping Gilberto Silva out of the first team – no mean feat given Gilberto’s fine form last season. 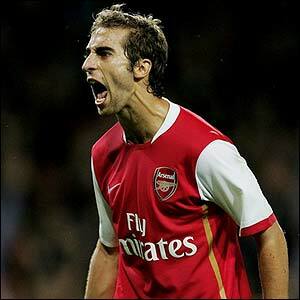 Flamini is more than a mere water carrier though. He relishes getting forward, and is one of the more skillful defensive-minded midfielders in the league. I hardly recognise him from a couple of seasons ago. He makes genius look so simple, and he does it so routinely that perhaps us fans take him for granted. After a fairly quiet â€“ by his high standards â€“ start to the season, Ronaldo is really in the groove now, and scored his first hat-trick for United against abject Newcastle at the weekend. He is currently the Prem’s top scorer, by three clear goals, and I wouldn’t bet against him finishing the season in that position. On current form, who would say that he’s not a better player than Kaka or Lionel Messi? 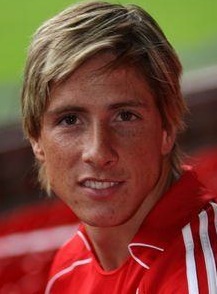 A confession: I was not convinced that Torres would settle at Liverpool in his first season. I honestly thought he’d take longer to figure out the Premier League. Well, I was wrong, obviously. Torres is a world-class act, and I wonder why Man Utd didn’t make more of an effort to sign him. Imagine Torres in the same squad as Ronaldo, Tevez and Rooney. Scary. Instead, Torres finds himself as the spearhead of an underperforming, overly mechanical Liverpool team. He has lived up to the hype. Shame his ‘Pool team-mates have let him down too often. 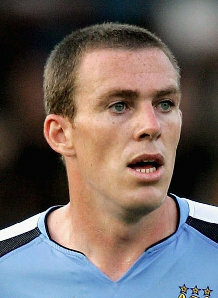 Tougher call than Torres, this. I have been impressed with several strikers this season, notably Roque Santa Cruz at Blackburn, Chelsea’s Nicolas Anelka (a one-man team at Bolton), Benjani at Portsmouth and Sunderland’s Kenwyne Jones, who is some athlete. Carlos Tevez has thrilled Man Yoo fans, and despite Spur’s poor first half of the season, Robbie Keane has still managed to notch 10 league goals. 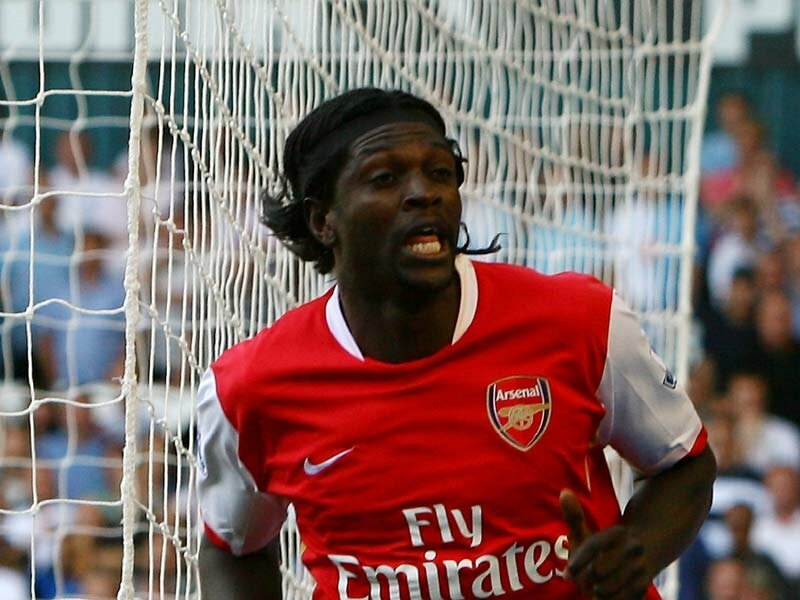 However, I couldn’t overlook the claim of Adebayor, who is the league’s highest-scoring striker, after all. The Togolese front man has improved greatly since he arrived in England, and on his day he can give any defender problems with his combination of power, skill and athleticism. He should maybe score more tap-ins, but he is not that type of player. So, no Chelsea players, just one Liverpool player and a couple of Man City players. Do you agree with my selection? Add a comment with your team of the season so far.